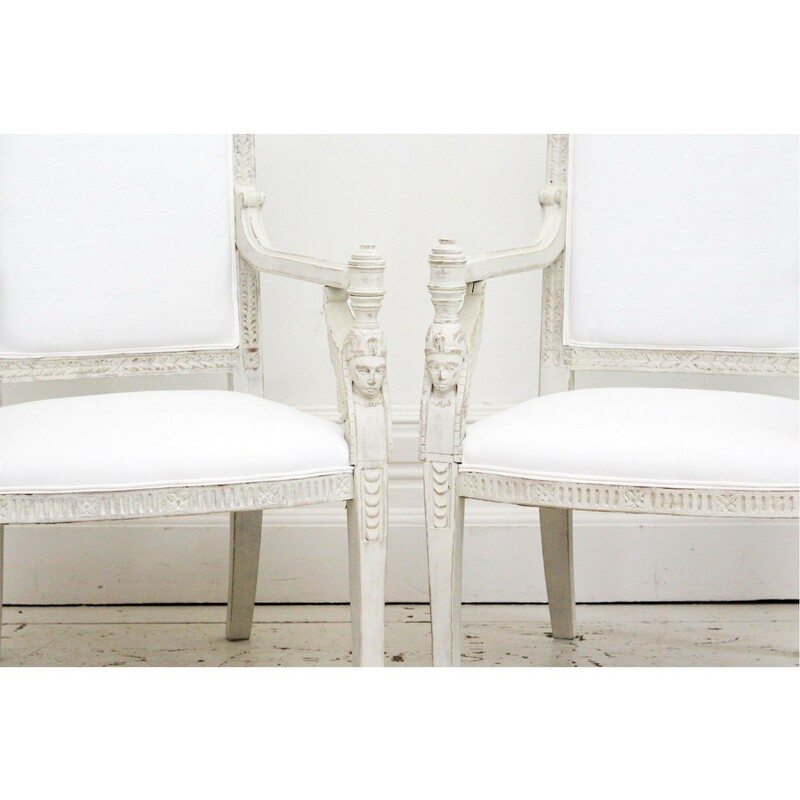 A Late 19th Century French Pair of Egyptian Revival Armchairs. 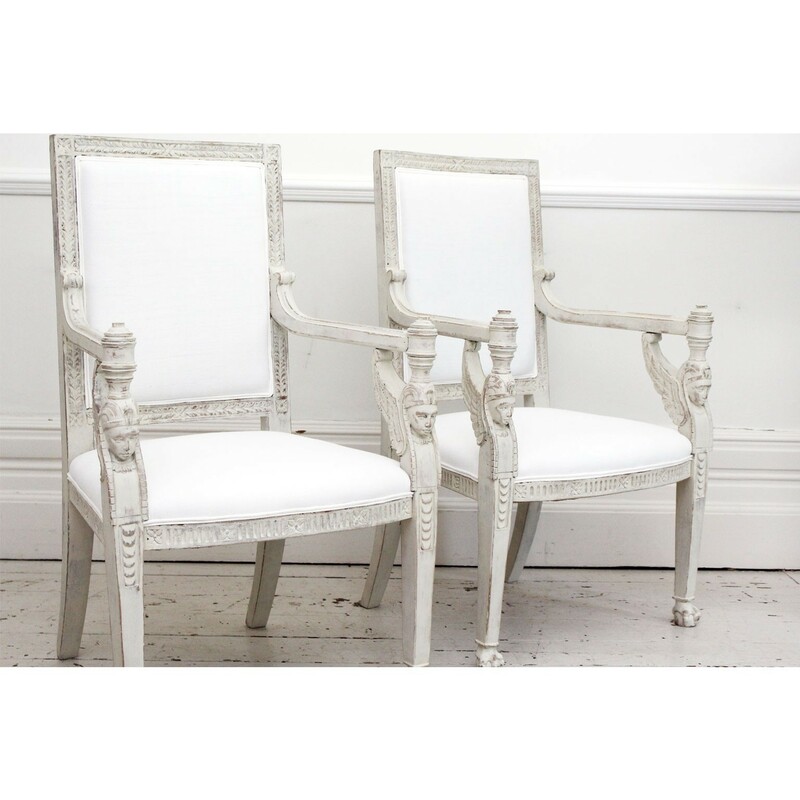 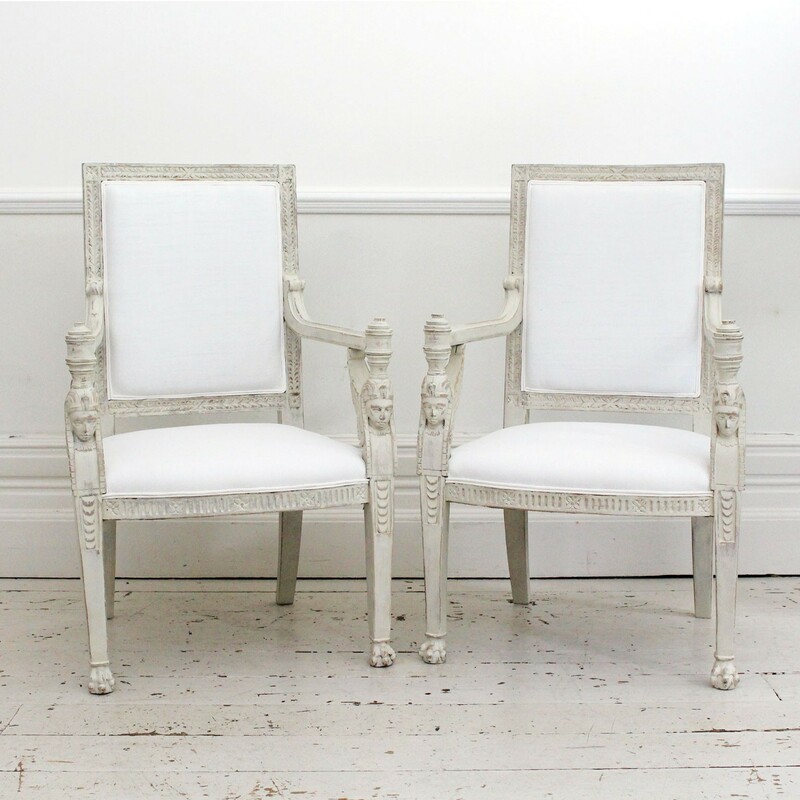 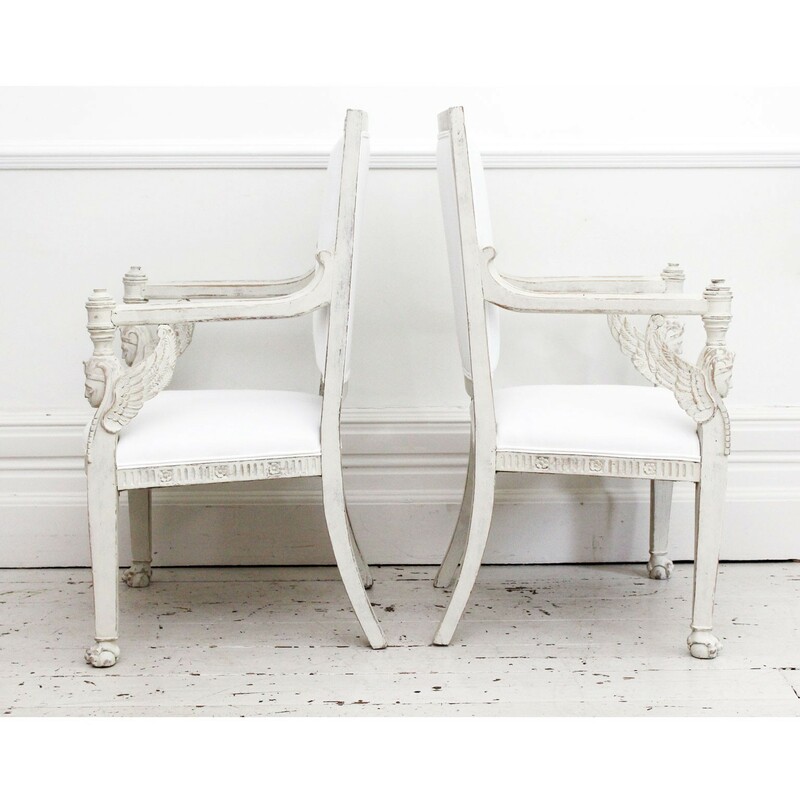 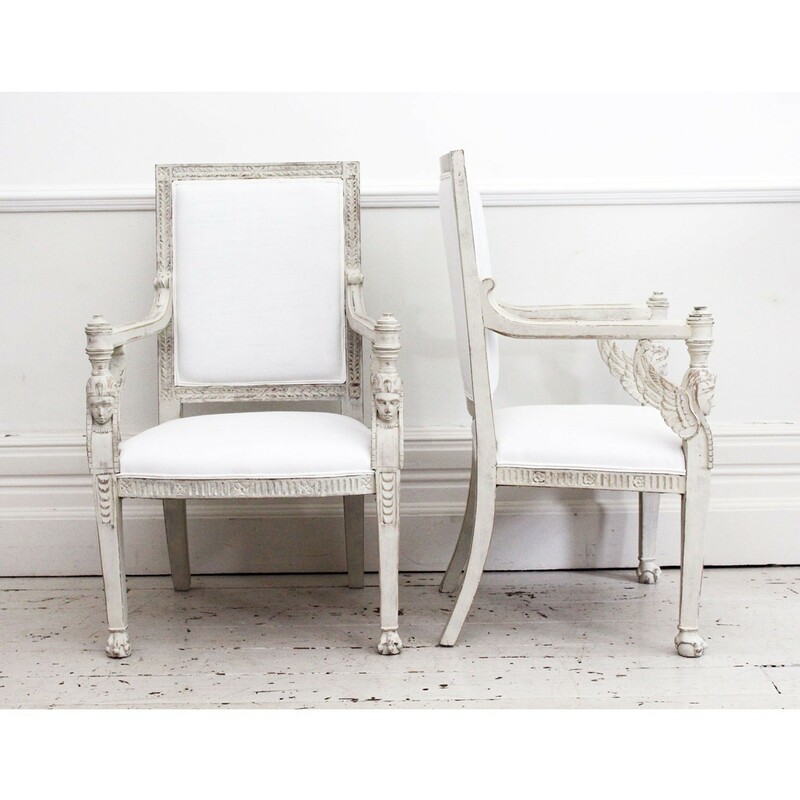 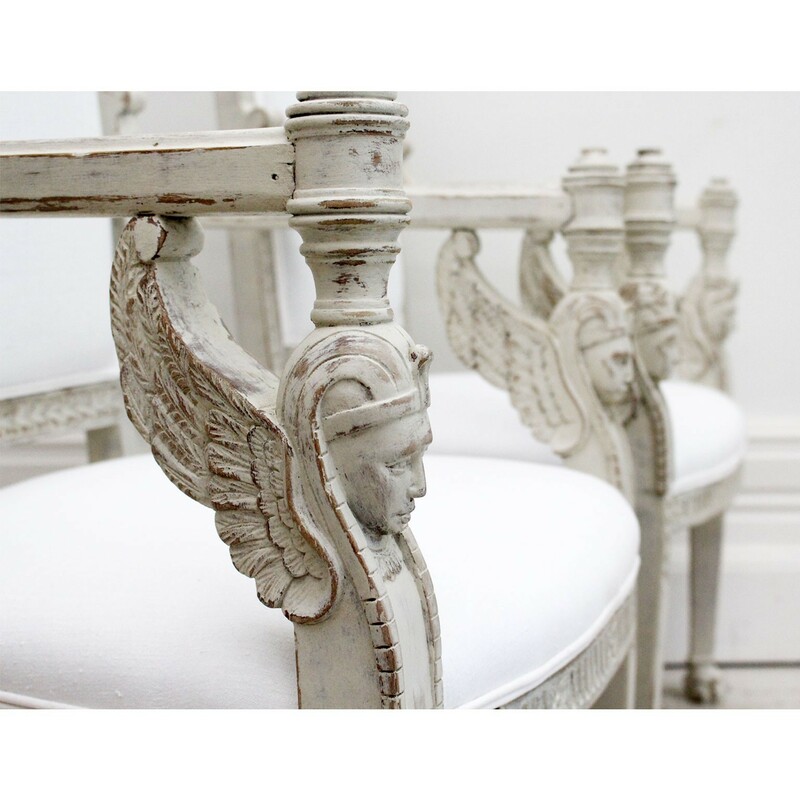 This elegant pair of painted white chairs is beautifully carved with Ancient Egyptian Sphinx heads and wings. 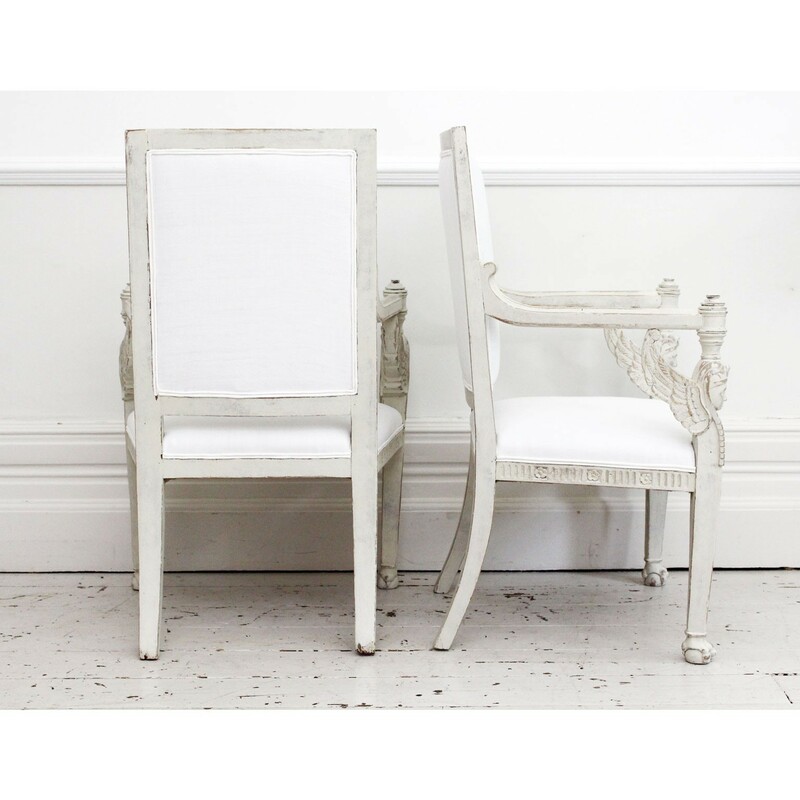 The chairs have been reupholstered with antique French linen. 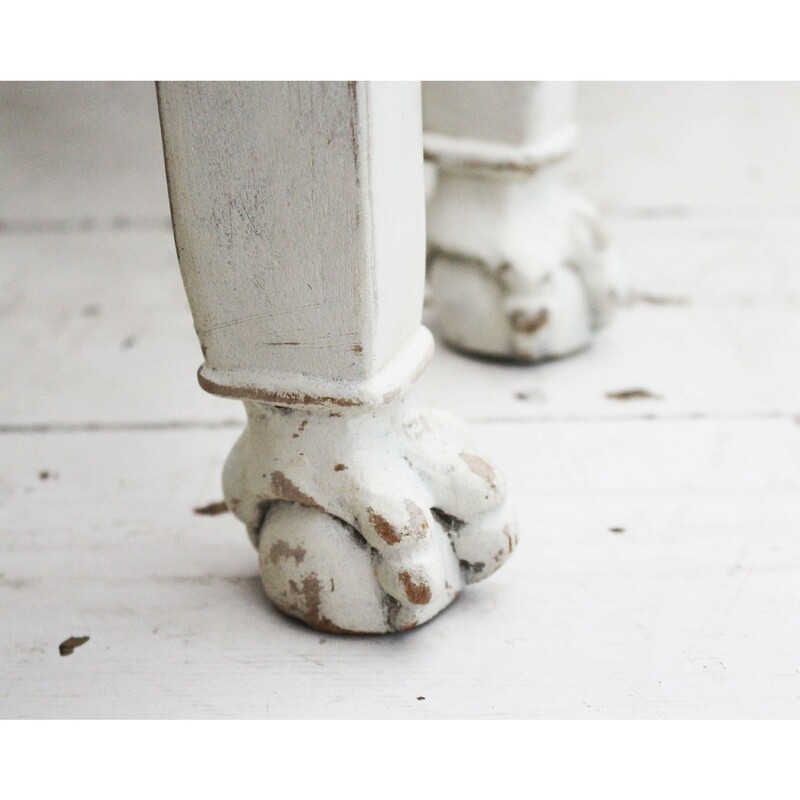 They have pretty small claw and ball feet with detailed frieze carving around the edges.